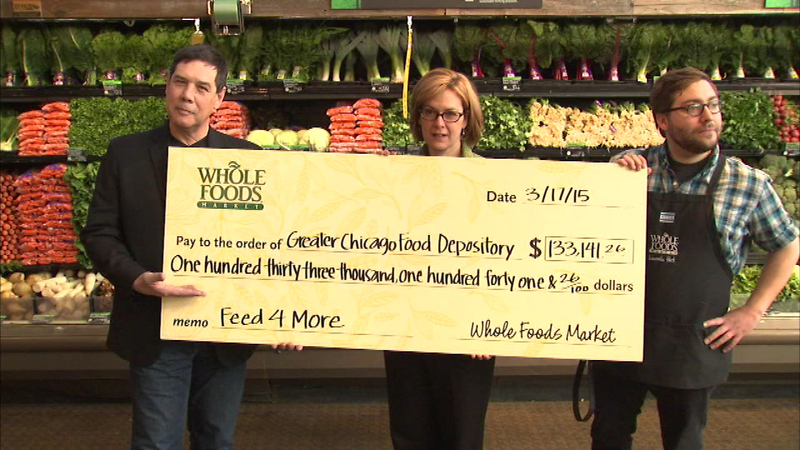 On Tuesday, Whole Foods Market presented a check for just over $133,000 to the Greater Chicago Food Depository. CHICAGO (WLS) -- Fewer Chicago families will go hungry thanks to the generosity of local grocery shoppers. Six Whole Foods Market stores collected the money during a holiday fundraising drive. The food depository will provide three meals for every dollar donated.